To help with placing the different parts when creating a watch-face design background, you can use the below images as a template. 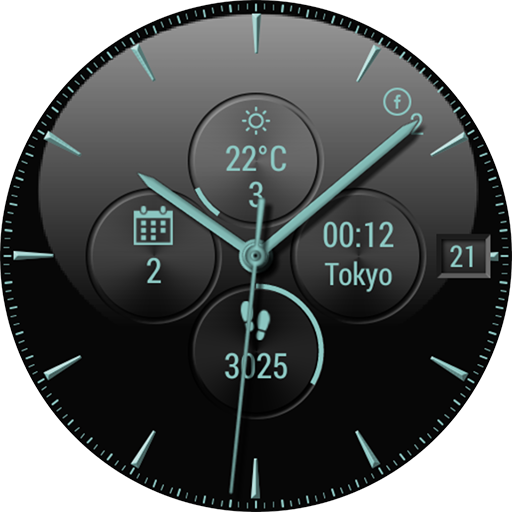 Just super-impose the image as a semi-transparent image on top of your watchface design background in order to see where the different built-in components in Ultimate Watch 2 are placed. What components that are actually displayed will be dependent on the individual setting that you have, but you can use this as a guideline. 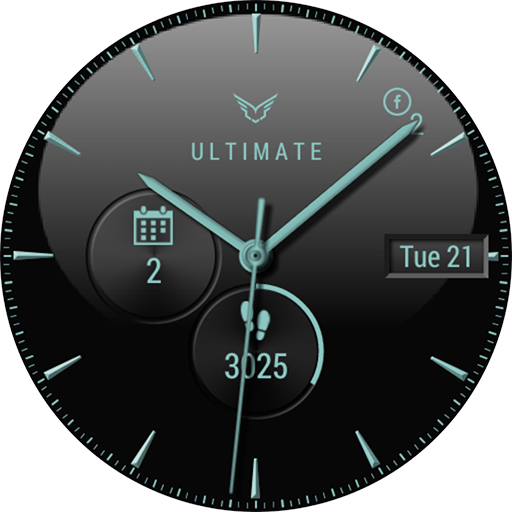 Ultimate Watch 2 backgrounds are always automatically converted to a 512x512 pixel image when imported, before stored internally, so the images below are of that size.